“I was close to the rail. I’d stand on one foot until it got too hot, then stand on the other. The fire looked like a grass fire running across the deck. Oil in the paint accelerated it. ... The fire was underneath and heating the steel deck. “We were unable to drop the lifeboats, they were all burning and the power was off. The cables holding the lifeboats up would not work. I saw one lifeboat was dropped which officers took off in. They didn’t try to take anyone else to shore. 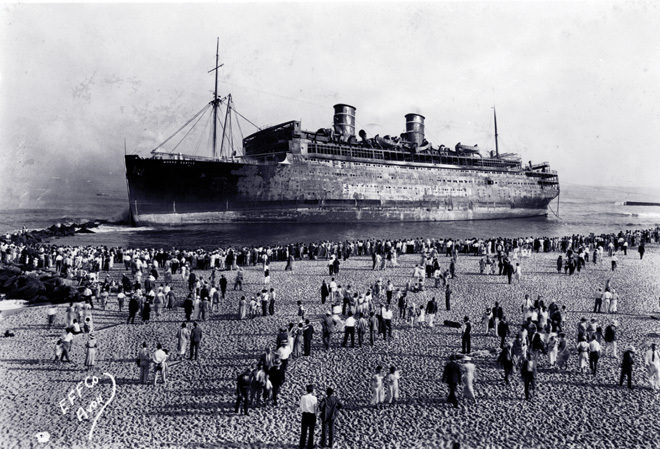 It was the great disaster of the 1930s, a horrific experience for all those aboard the ill-fated liner Morro Castle. Sailing to New York from exotic, anything-goes Cuba, the luxurious cruise ship was filled with passengers finding an escape from the Great Depression. 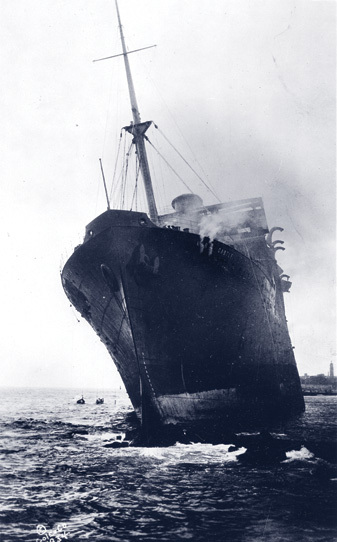 But after the parties ended and guests were packing their belongings, preparing for their arrival home in the morning, the ship became a scene of panic as a raging fire quickly spread, killing 137 and sending many overboard. The aftermath literally floated into public view  center-stage on the beach at Asbury Park, where the Jersey Shore resort town filled with rescuers, press, and gawking curiosity-seekers from throughout the mid-Atlantic and northeast. The charred, smoldering, stranded ship quickly became a tourist attraction; hawkers sold souvenirs and photographs, and the dramatic story filled front pages for weeks. Controversy and intrigue surrounded the mysterious death of the captain, as well as the cause of the fire itself, and much of the mystery has endured for nearly eighty years. But for many of those who survived the tragedy, it was a closed subject; they rarely spoke of the events, and held the awful memories away from loved ones. In Inferno at Sea, we finally hear those personal accounts. Survivors tell their stories, family and friends share narratives of those lost that night, rescuers and volunteers all contribute to give us a rare glimpse into the events of September 8, 1934. 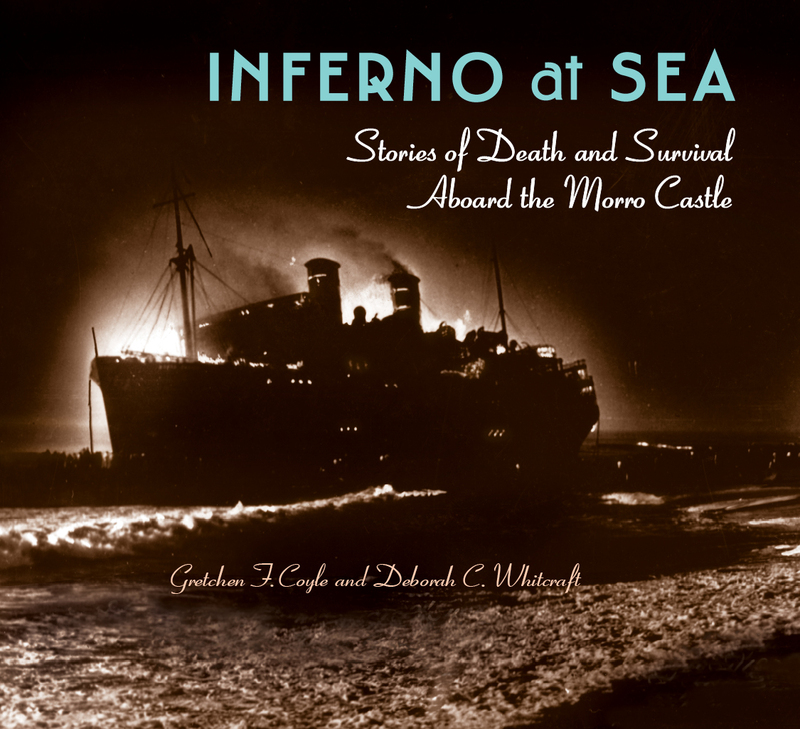 The fading, maritime mystery of the Morro Castle fire remains, but those closest to the disaster speculate about what really happened, and we gain a new perspective on a famous and tragic New Jersey shipwreck. “Horse racing” aboard the Morro Castle was lively thanks to Cruise Director Bob Smith, whose enthusiasm was quickly passed on to all the passengers. A large wooden sign was lettered “T.E.L. Morro Castle Racing Association.” Under it were listed the races, winning horse, owners purse, and mutual entries. Wooden entries moved around a round wooden track while cheering fans bet on their favorite mount. Silver trophies were given to the winners. Smartly clad in a crisp white summer uniform and clean white buck shoes, Bob Smith instructed passengers in the game of ship-board shuffleboard, a course laid out on A-Deck. Behind the shuffleboard court, a badminton net provided more physical exercise for young couples tossing a Frisbee-type ring back and forth. Cooling off with a hose that sprayed salt water on hot sunbathers was a popular activity for those aboard the Morro Castle. There were miniature golf putting greens where first time and serious golfers could test their expertise. If there was fun to be had, it was under the direction of Bob Smith and his assistant Herman Cluthe. Bob Smith was the most visible officer on the Morro Castle, the person most known by the passengers. Bob Smith had an idea for an activity that would provide entertainment and something that was much needed  life preserver drills. Each participant would have to find his or her life preserver, put it on, and get to an assigned life boat. The idea was immediately vetoed by Captain Robert Willmott, whose rationale was that life preserver drills might lead passengers to think something bad could occur on the Morro Castle. “It is safer on the ship than at Broadway and 42nd Street,” Captain Willmott told the cruise director. GRETCHEN F. COYLE, an author and magazine writer, is a graduate of The Baldwin School and Hollins University. As a past president of the Long Beach Island Historical Association and the Tuckerton Seaport Board of Trustees, she is a well-known authority on maritime history. She and her husband John enjoy exploring the waters between their homes in Beach Haven, N.J., and Useppa Island, Fl. DEBORAH C. WHITCRAFT, a former owner of Triton Divers and the Black Whale fleet of passenger boats on Long Beach Island, N.J., served two terms as mayor of Beach Haven, N.J. Her collection of artifacts, documents, and photographs of New Jersey maritime history, forty years in the making, is now the foundation of the New Jersey Maritime Museum in Beach Haven, of which she is president and founder.